Streeterville is a neighborhood that is defined by high-rise real estate and big city living. Countless residential skyscrapers fill Streeterville’s landscape in downtown Chicago with each boasting breathtaking views of the surrounding city and, in many cases, beautiful Lake Michigan. Real estate in Streeterville vary in size, amenities, and price-range. Luxury condo buildings such as Water Tower Place at 180 East Pearson or 840 North Lake Shore Drive offer a tremendous location, top-notch amenities, and high-end finishes, while various other Streeterville condominium buildings will house units at a much more affordable price. What makes the Streeterville neighborhood in Chicago so desirable among today’s home buyers is the close proximity to Lake Michigan and Oak Street Beach, the best shopping downtown Chicago has to offer, and some of the highest quality of fine-dining around. 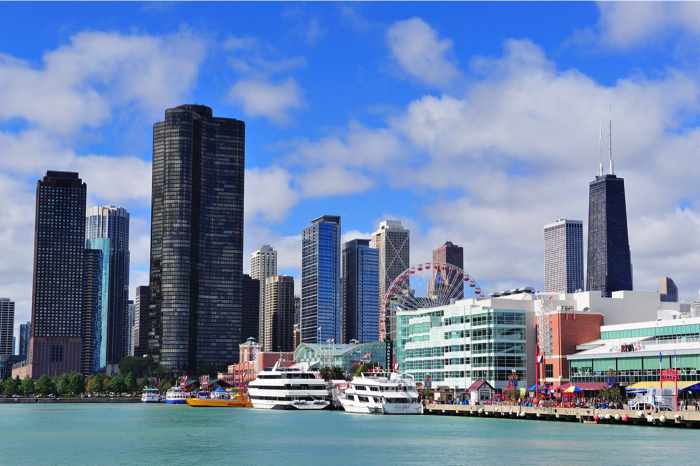 Michigan Avenue is loaded with fashionable retailers and 5-star restaurants, while a trip to the beach, Navy Pier, or the Lakefront Trail is just a short walk or bike ride away. For more information regarding Streeterville condos and other real estate options for sale in Streeterville, contact Leo Clark with Gold Coast Realty at (312) 280-9600. 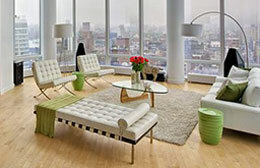 Thinking of Selling Your Streeterville Home or Condo? If you're looking to sell your Streeterville home or condo in today's ultra-competitive market, contact Gold Coast Realty to learn more about how we can get your property sold fast, and for the price you need! Already have a good idea of what you're looking for in Chicago’s spectacular Streeterville neighborhood? Narrow down your options and only browse exactly what it is you want! And if you don't see what you're looking for below, let us know and we'll set you up on a custom search that sends MLS listings that meet your search criteria straight to your inbox. While some of Streeterville’s most luxurious condo buildings were mentioned above, the list goes far beyond just a few locations. Because Streeterville sits right off the lakefront, you shouldn’t be hard-pressed to find a great unit with a spectacular view of the water, especially in 600 N. Lake Shore Drive—one of our favorite downtown Chicago condo buildings. A number of Streeterville condo buildings are also positioned along the Chicago River, which also provide some pretty amazing views of the cityscape, not to mention easy and quick access to the fabulous Chicago River Walk. With condos basically dominating the Streeterville real estate landscape, the list of top-notch buildings is rather extensive. But to jump start your condo search, many consider The John Hancock Center, 600 N. Fairbanks, 800 N. Michigan (Park Tower), and 250 E. Pearson (The Pearson) to be among the top buildings in the entire neighborhood. WANT TO SEARCH MORE STREETERVILLE CONDO BUILDINGS? 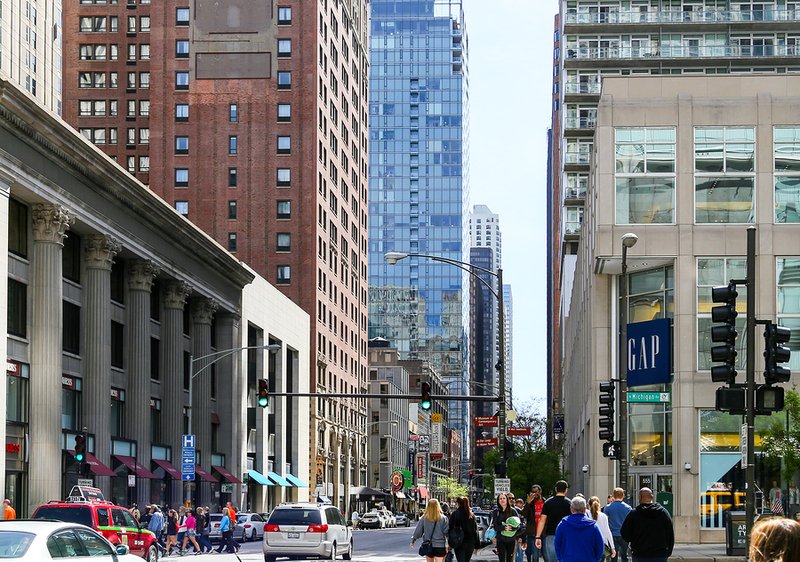 Just about anywhere in downtown Chicago offers an authentic “big city” vibe, but living in Streeterville takes that element to a whole different level. In a neighborhood that’s dominated by towering high-rise apartment and condo buildings, there’s nowhere else in Chicago that has a more authentic urban look and feel. And when you combine the area’s stunning architecture with its close proximity to some of the Windy City’s best and most well-known attractions—like Navy Pier, the Museum of Contemporary Art Chicago, and the Magnificent Mile just to name a few—can it really get better than calling Chicago’s Streeterville neighborhood home? We certainly don’t think so. For a better idea of where Streeterville is located, the neighborhood is widely defined as being in between the Chicago River to the south, Lake Michigan to the east, East Lake Shore Drive to the north, and Michigan Avenue to the west. And the best part, for anyone working in The Loop—Chicago’s major business and financial district—you’re only a short train ride away via the CTA Red Line. The Streeterville real estate market is as hot as ever. Giving potential home buyers the opportunity to livein such a great downtown Chicago location makes the Streeterville condo market as competitive as any other neighborhood in town. So for assistance finding and securing the perfect Streeterville condo that checks off all the items on your wish list, contact our professional downtown Chicago real estate experts at Gold Coast Realty today at (312) 280-9600!